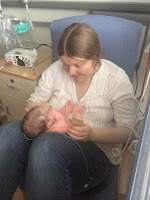 When your baby is first diagnosed with trisomy 18, you may well ask, "What can be done?" And you may get an answer from the medical team of, "Nothing." If it is a postnatal diagnosis you may assume they will continue to offer basic medical care, such as feeding and breathing support. If it is an antenatal diagnosis you may be told your baby will be "incompatible with life", and "We will keep baby comfortable." : I define this as 'providing full care, as per any other child, without denying treatment due to the chromosomal anomaly'. This does not mean that some treatments cannot be withheld. It just means that they will be only withheld due to the child's clinical condition, not because they have trisomy 18.
: The primary goal of palliative care is to keep the child comfortable and facilitate an adequate-to-good quality of life, without taking measures to prolong survival. Some medical treatments, including medications for conditions such as reflux and constipation, will be given; the child will generally be fed and hydrated orally or via a tube, sometimes even via a drip; oxygen will be given if it helps relieve respiratory distress. The family will be facilitated to spend time together. So how do you choose between these two options? Improves survival to age 12 months by approximately 20%. May relieve suffering. For example, a child in significant respiratory distress is often more comfortable when given an appropriate level of respiratory support. Avoids the suffering that some active treatments can cause. For example, intubation undoubtedly causes discomfort; cannulation is uncomfortable for a baby. I would say that most other advantages of both approaches are controversial. Does palliative care mean the family can spend more time together? This is an argument commonly used by professionals against active treatment. They say that a baby given active treatment may die in the NICU (Neonatal Intensive Care Unit) and not experience home and family life, whereas the baby given palliative care gets to spend more time at home with their family. This depends so much on individual circumstances! If your baby is born significantly compromised, with palliative care you are likely to have hours or minutes in a labour room as a family. Your alternative may well be to have your baby intubated and transferred to NICU. You are likely to get some time together in the NICU as a family. If your baby does not do well despite intubation, then you may withdraw treatment and your baby dies in your arms. If your baby does well, then you have just gained days, weeks or months as a family. If your baby does relatively well at birth, then a palliative approach may enable you to get home sooner and to spend time at home together. An active approach may mean two or three weeks in NICU sorting underlying issues, and then home. If your baby then dies at three months regardless of approach, then the palliative approach has given you two or three extra weeks at home. However, if the baby managed actively lives longer, as the stats suggest they will, the palliative approach may have lost you a month or two, or ten, at home. These are difficult decisions, but there are no foregone conclusions. One thing I would say is that babies and families can have a good quality of life and enjoy quality time in hospital, especially if this is facilitated by the institution. Families who choose a palliative approach will enjoy better time at home if a good care plan is agreed. Does active treatment mean more suffering? This is also very difficult to answer. A newborn dying of respiratory distress may suffer and would benefit from appropriate respiratory support. Active treatment can reduce suffering as well as cause it. However we should not deny the pain and suffering medical interventions cause. A child who is intubated and ventilated endures discomfort, surgeries cause pain. We can attempt to relieve pain and discomfort by drugs and care practices but we cannot eliminate it entirely. However the cost of the treatment may well be worth it for the benefit. This has to be weighed up individually. If a baby has a cardiac surgery and dies three days later from complications, the parents may have significant regrets they opted for the surgery. However if without the surgery the baby would have died within weeks and with it, there was a potential for a year of life or more, then these are complex decisions. Should those parents have regrets? Frank discussions about risks and benefits are needed. There are some cases where most people would feel the suffering outweighs the benefits of active treatment, the prognosis is too poor. There are many cases where parents may choose to avoid some treatments as the risks are too high and there are also cases where parents feel almost all treatment is in their child's interests. Does active treatment really make any difference? It might be implied that active treatment is fruitless. However, the evidence we have is clear that it improves survival. It also seems to improve parental satisfaction. Parents who pursue active treatment express more satisfaction with their choices than those who choose palliative care. The balance between survival and suffering is different for each parent. So how do I make this decision? What is your child's presenting condition (or likely presenting condition)? Will they benefit from active treatment? What are your personal values and beliefs? Do you believe in life at all costs? At high cost? At any cost? If you had a life-limiting illness, what chance of improvement would lead you to pursue uncomfortable treatments? Do you think active treatment is in your child's best interests? These are the sorts of questions you must ask yourself. There is no easy answer, and it will be impossible to come to definitive conclusions on many of these points. But by seeking out the best information available, making judgements as to the most likely answers, and weighing up the relative risks, benefits and uncertainties, you will be able to come to the best decision that it is possible to make for your child. What if only one approach is offered? In general, you will only be offered palliative care in the UK. However, a number of parents have fought for and obtained full active treatment. Seek advice on the trisomy support groups and present your physicians with the research, and it is likely that you too can get both options. 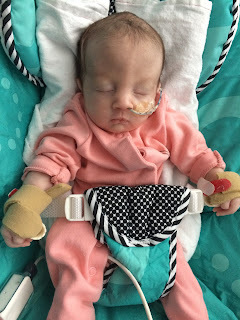 If you are not sure about your child's presenting condition, it may be better to have active treatment agreed and change your mind after birth, since it is vastly easier to change from an active approach to a palliative one than vice versa. I am strongly pro active treatment, and would question whether palliative care is in fact an ethical way to manage a child who has trisomy 18 and no significant complications. However, I do know of presentations of trisomy 18 in which active treatment would only prolong suffering, and palliative care would be more appropriate. I also know of many borderline cases where parents need to make the decision they feel is right for their child.